Add a sparkle to your wrist with Dolce Giavonna Round Cut 3mm Cubic Zirconia Tennis Bracelet. Dolce Giavonna tennis bracelet complements any type of outfit during summer, spring, fall or winter. 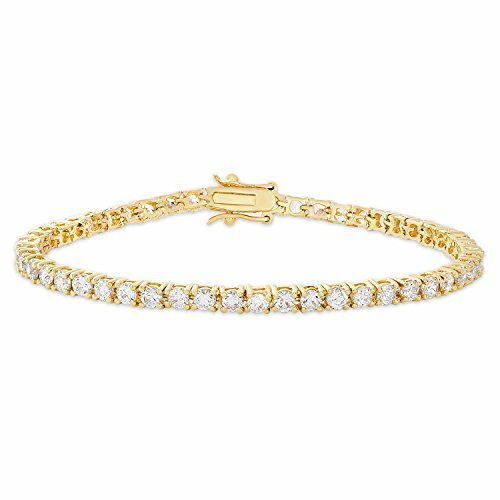 Add a glamorous accent to your daily routine with this wonderful tennis bracelet. If you have any questions about this product by Dolce Giavonna, contact us by completing and submitting the form below. If you are looking for a specif part number, please include it with your message. 925 Sterling Silver Swarovski Crystal Cross Tennis Bracelet, 7.5"